Leading up to her launch, Julie asked that we share our personal bucket lists, and I was more than happy to do so. I’m going to do a little twist on Julie’s theme, though, and look back on a list from the seemingly distant past. About ten (!) years ago, my then-boyfriend and I were thinking about our “future.” I was resident, and thus making close to minimum wage, and my husband was a student. 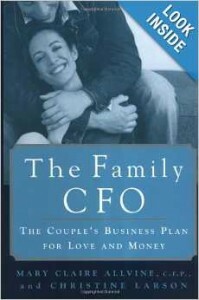 We’d recently gotten a book called The Family CFO to help plan out our joint finances, and one of the things the book said to do was to make a list of things we wanted to do in our life. Namely, a bucket list. 1) travel: Though Baby #2 has put a bit of a damper on our mobility for the next year or two, we’ve managed to go to Italy, France, India and Hawaii from 2004-2014. That still leaves Greece, Australia, Russia and Costa Rica to go. 2) buy a Prius: In 2004, I was driving a 1995 Honda Accord and my husband had a 1997 Taurus. We badly wanted a hybrid because every gallon of gas we pumped, every mile we drove, nagged on our global warming conscience. We got our Prius in 2010, and last year we got an electric car, a Nissan Leaf. Yes, we feel smug whenever we drive past a gas station. 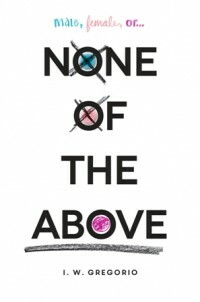 3) publish a book: In 2004, writing was a pipe dream. I barely had time to eat and sleep, let alone pen a novel. It had always been my goal in life to be an author; after medical school, I had always assumed I’d write some sort of medical non-fiction book in the vein of Sherwin Nuland or Richard Selzer (who were the reasons I went to Yale Med in the first place). It didn’t quite happen that way. But still: Mission accomplished. There are a lot of things on our old bucket list that we haven’t quite gotten to yet: I want to go on a medical mission. My husband hopes to get a tenure-track job somewhere. Now that we’ve got our cars in order, we’d love to make our house greener and add solar panels and/or geothermal energy. Here’s the thing about bucket lists, though: as you get older, and hopefully get the financial means to start doing the things you could only dream of when you were younger, it becomes more difficult to think of things you really, really want to do, but haven’t. To be honest, I had a hard time thinking of things for a new list. What came to my mind were things like wanting to see my kids graduate, and wanting to meet my future grandkids. Things that I can’t buy, or pay to experience. Things I can’t control. Boring, huh? Even if I can’t really come up with anything good, I want to thank Julie for this thought exercise, because if there’s anything I’ve realized while thinking about my list, it’s that I want to live – and love – loudly. 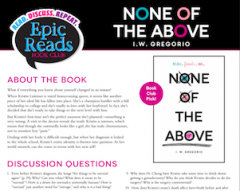 Which brings me to Julie’s book, and her main character, Alice, who is quite literally afraid to love. Read SIDE EFFECTS MAY VARY to figure out how she overcomes this fear. Julie Murphy lives in North Texas with her husband who loves her, her dog who adores her, and her cat who tolerates her. When she’s not writing or trying to catch stray cats, she works at an academic library. 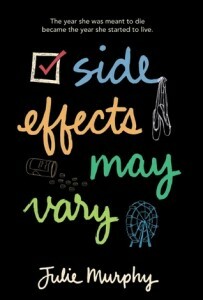 SIDE EFFECTS MAY VARY is Julie’s debut novel. 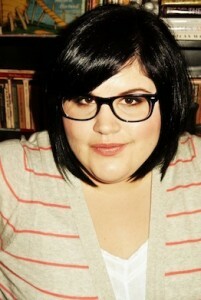 Julie can best be found on her website (www.juliemurphywrites.com), tumblr (www.andimjulie.tumblr.com), or twitter (www.twitter.com/andimjulie).